We are located in the basement of the Borden Community Center. Our two lane alley seems small but once inside its full of big fun. In September of 2013, renovations were done to help us change with the times! 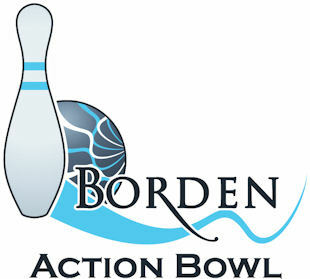 Equipped with electronic scoring, GLOW BOWLING, and a liquor license, there is sure to be fun found by everyone. Currently we run on a rental basis, but don’t let that scare you off, you can even call short notice! We'll do our best to accommodate you!